Need a surface cleaned safely ...cobblestone/natural stone/ slate/ block paving/paving/concrete/ tarmac/imprinted concrete/bricks/ wood/decking areas/wooden seating/artificial grass…. whatever your cleaning needs are in this area…we can help you ...contact us today for a quote. 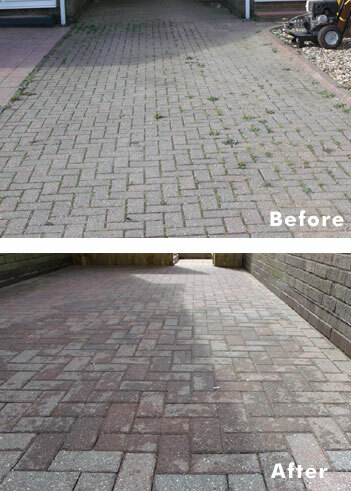 The Company has a wealth of experience of Cleaning paving, driveways and patio(s) on all types of Surfaces. 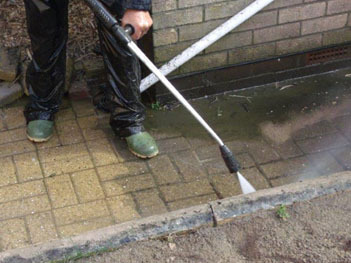 The advantages of no mess controlled cleaning around sensitive areas, no flooding, no unsettling of unstable foundations, great for protection of natural stone and recommended by one of Europe’s largest stone suppliers. Having problems with weed build up, oil stains, around your block paving, patio or paving…need some expert advice ...call us today ...we can advise you and help keep you weed free…..